Want to Stay Up To Speed On The Constantly-Changing, Fast-Moving, Cryptocurrency Market? Want to receive an email alert whenever we come across a unique vetted out opportunity in this space? We're in the middle of fleshing out some of the best resources, contacts, and opportunities in the cryptocurrency markets. 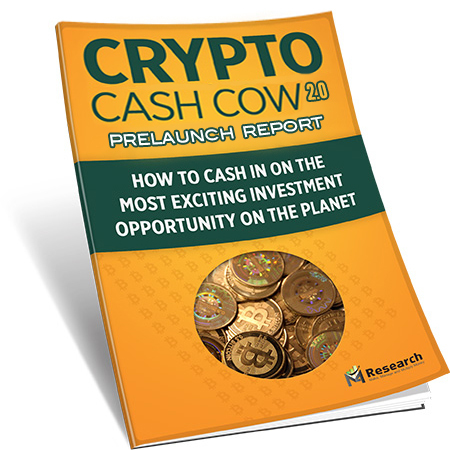 We're almost ready to launch Crypto Cash Cow 2.0. Until we do, we'll send you an EMAIL ALERT whenever we have something unique that we feel will assist you to dramatically change your financial future within the next few years. Please ﻿use a valid email or you won't receive the report. Your information will be kept 100% secure.